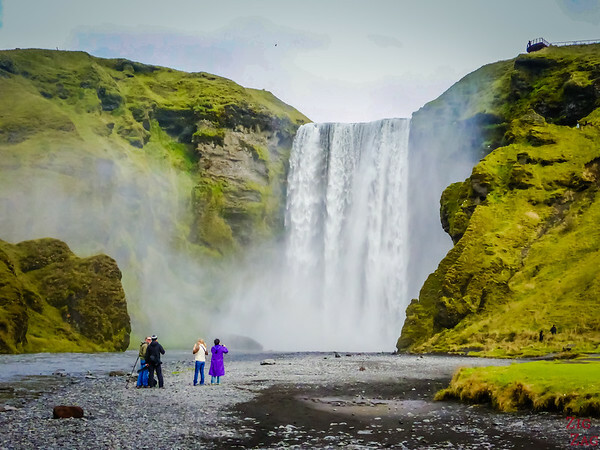 Within 2 hours of driving from Reykjavik starts the famous South Coast Iceland with some of the most amazing scenery: impressive waterfalls, fjords, glaciers, lagoons filled with icebergs, black sand beaches... So here comes my travel guide to help your decide what to do and plan your itinerary. 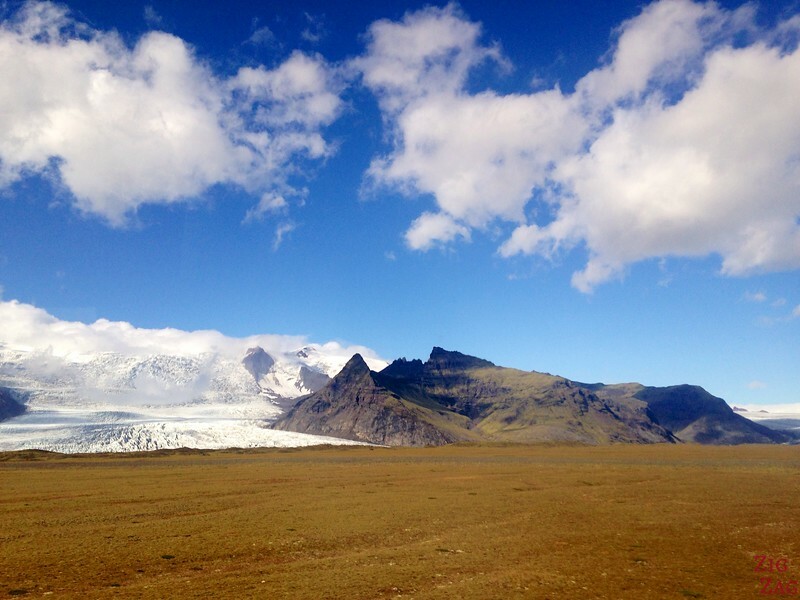 Ready to visit South Iceland ? 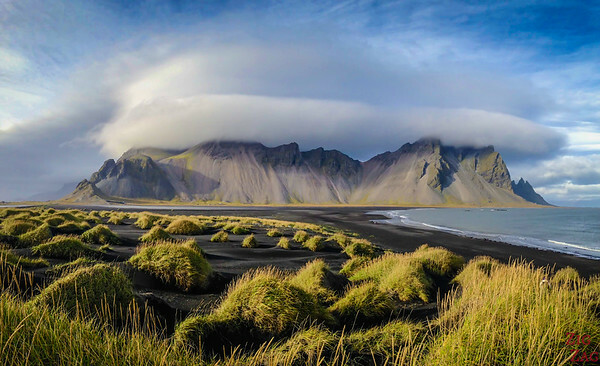 The South Coast of Iceland is a world of majestic and colorful landscapes: from impressive 60m high waterfalls, to long black beaches where you don't see the end, to easily accessed white glacier tongues melting into lagoons. And you can also walk around blue and white icebergs sparkling on the dark sand or inside swirling canyons and fjords... In June, the lupin fields turns all that pink and violet and in Winter, the glaciers give you crystal caves. Let's start with a short video I made to show you the beautiful landscapes you can admire when visiting South Iceland including the waterfalls, the icebergs and Vestrahorn. 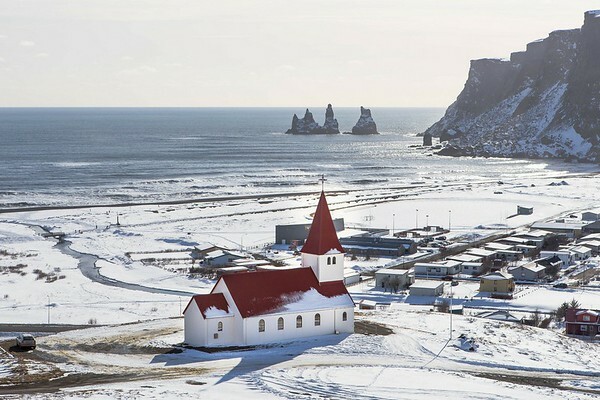 How to get to South Iceland? It is very easy to reach this region it is all in length between the sea and the Mountains of the Central Highlands. And the Ring Road (Road 1) leads you through it with all the major points of interest not far from it. How to long to plan to visit South Iceland? Considering the driving distances, with only one day from Reykjavik, you can only see a portion of the coast. If you are panning a road trip, I think 3 to 4 days is the best to go in depth and see all the variations in landscapes. For the freedom of stopping wherever you want and spend more time in the places you really enjoy, renting a car is the best solution. 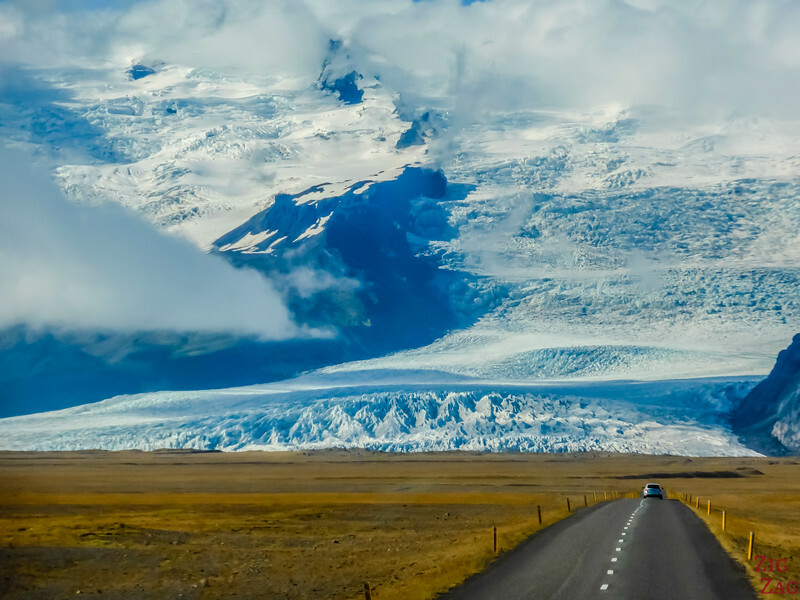 Driving on the South Coast of Iceland is actually really easy. The Ring Road is there all along, and the side roads are short and in good conditions. Plus all major location have large parkings. I personally rented my car with Route 1 and its went very smoothly - but you can compare options here. You can use the list of places to see below to help you select what you want to see on your itinerary. if you are doing a ring road tour and continuing one to the East Fjords, better to group by locations day after day. But if you are driving back to Reykjavik after, you can skip locations to see them as you return. This will help balanced the views and the time on the road. 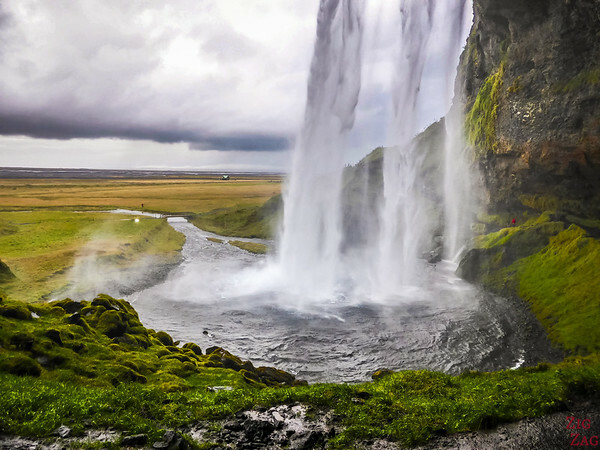 For example, you can stop at Seljalandsfoss at the beginning and see Skogafoss, the other major waterfall on the return drive. Here is a map to give you an idea of the location of the Southern region of Iceland and its 2 main town: Vik and Höfn. 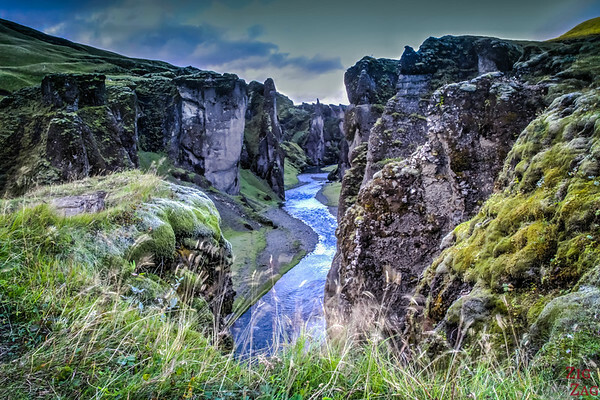 About - One of the most visited spots in Iceland. The 60 m drop can be disappointing as you arrive on the parking but don't worry, the magic of this waterfall starts when you walk behind it! 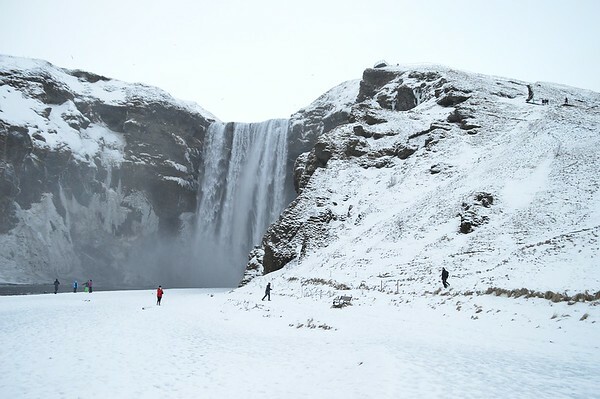 About - Another one of the most visited spots in Iceland, Skogafoss is a very elegant 60m high curtain waterfall. You can get up-close at the bottom or climb the steps to the the viewing platform higher up. 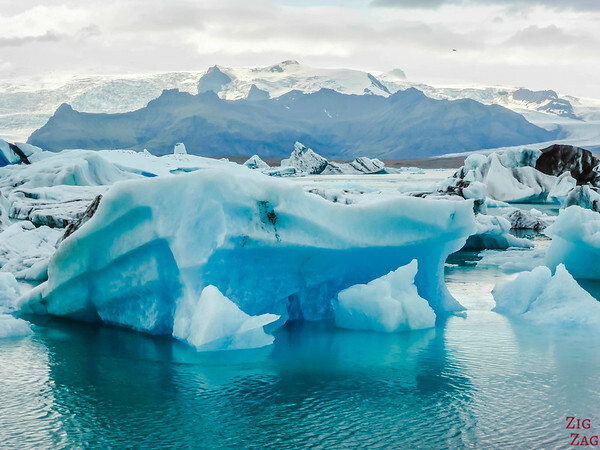 About - The lagoon of Jokulsarlon and its icebergs are THE HIGHLIGHT of the South Coast of Iceland. 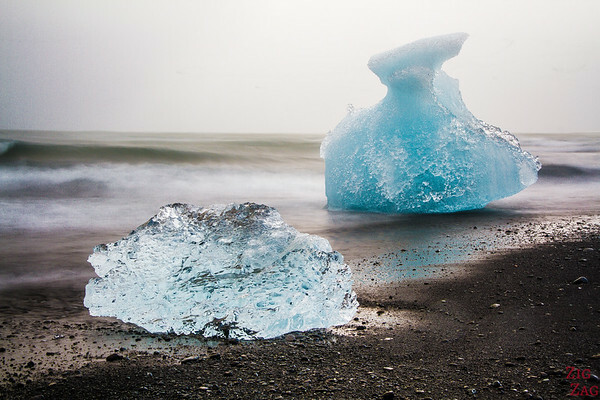 The glacier releases huge chunks of ice which float towards the sea. 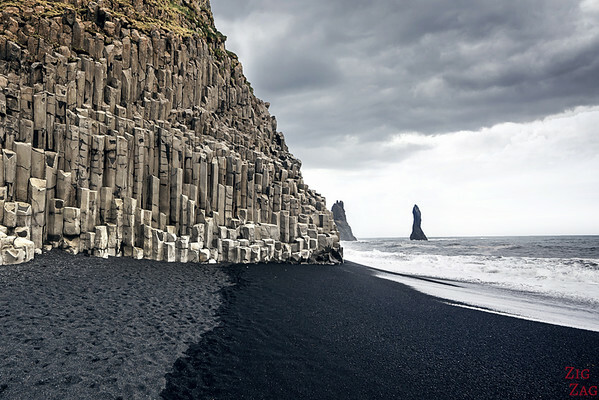 About - The South coast has many black sand beaches, but the most famous is Reynisfjara with is stacks of basalt columns. Just be careful with the waves! 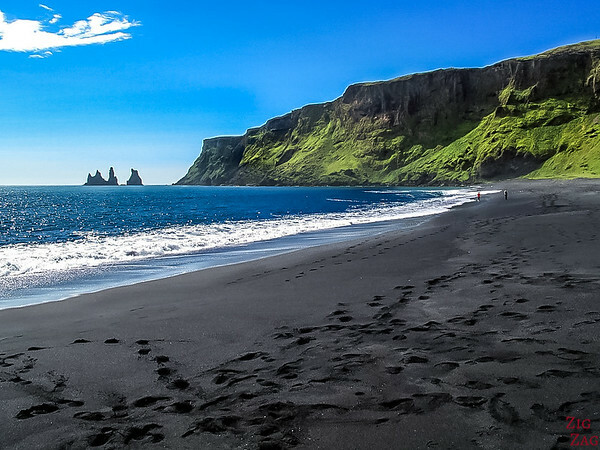 About - Another black sand beach by the small town of Vik. You can also climb to the small church for nice views of the cliff. In June the area is covered with lupin flowers. 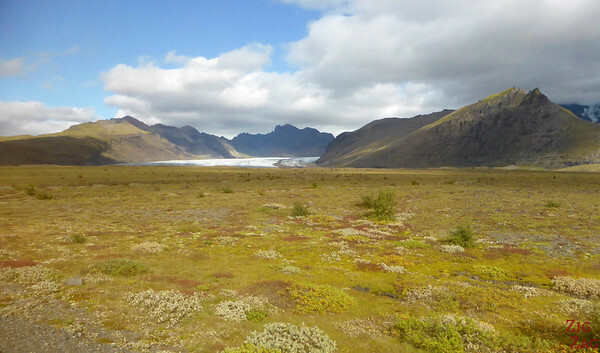 About - As you drive along Road 1 you will cross many lava fields. This one is not indicated. There is just a small place to stop on the North side of the Ring Road. 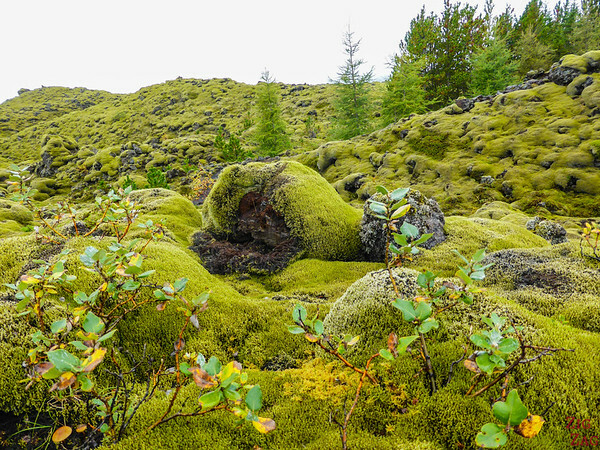 It is quite special as the lava rocks are covered with a tick layer of moss and trees have started to grow. Just be careful not to walk too much on the moss as it takes a very long time for it to recover. 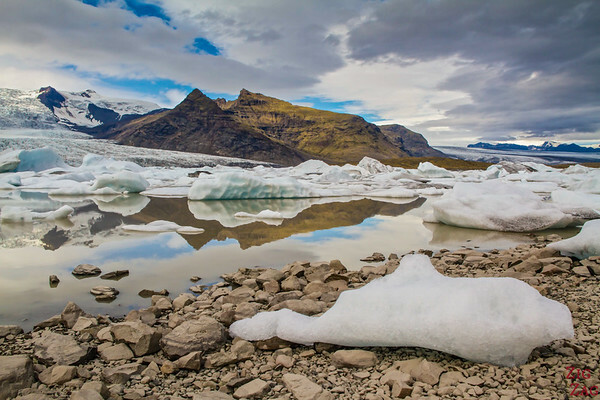 Enjoy a boat tour to get really close to the icebergs and to the Glacier tongue. 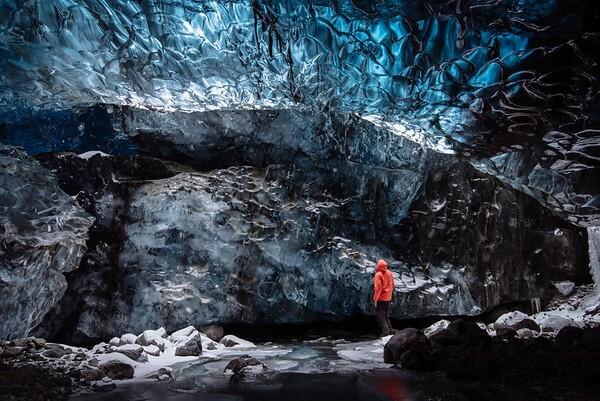 Discover one of the most amazing places to see in Iceland in Winter: the crystal cave. Where the ice is sparkling and intense blue. Unforgettable! Discover the world of glacier. How they move, what they look like once your are on them. This is an impressive world. 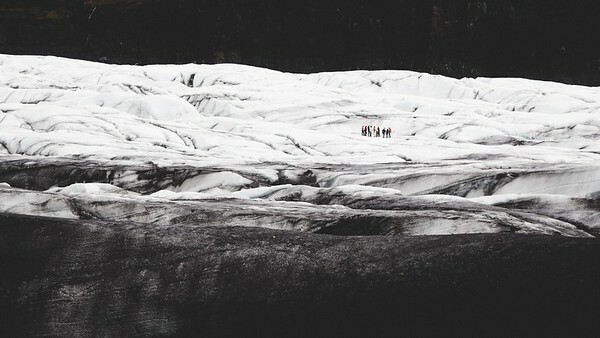 Enjoy a hike on a glacier plus the climb of an ice wall. Take a short flight to the island to spend the day there. 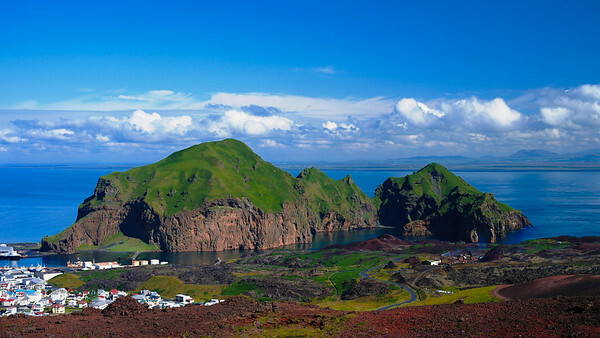 And enjoy a RIB boat tour to discover the sea caves and cliffs around the island. There are many accommodations along the Ring Road on the South Coast of Iceland: hotels, campsites, Guesthouses... For more information, check out my Iceland Accommodations article. Edda Vik with a choice of modern rooms and old huts. Plus a delicious restaurant. Hotel Katla Hofdabrekka, Close to Vik but more in nature, a more rustic option with large comofrtable rooms. Between Jokulsarlon and Hofn, I stayed at Hotel Smyrlabjörg. 30 min drive from Jokulsarlon. Modern and clean. 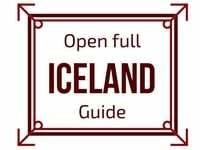 If you want to stay even closer to Jokulsarlon to get there at night if the aurora activity is high, the closest accommodations on Booking.com with great ratings are Hali Country Hotel and Skyrhusid Guesthouse. The drive to the lagoon is only 10 minutes. The South Iceland is very accessible in Winter thanks to Road 1. You still have to be careful and prepared, winds can be strong. But it is one of the easiest part to visit because everything is so close to the Ring Road.